Meet your 2013 14 & under State Championship Team! Anneliese Hohm, Emma Joseph, Katie Rauch, Liza Whitmire, Sam Reiger, Austin Lockhart, Turner Bobbitt, Jack Marquardt, Jacob Rauch, Kate Knight, Catherine Helm, Fern Guimond, Ashlyn Allen, Jason Heishman & Joseph Hargrove traveled to the Triangle Aqautic Center in Cary, February 14-17, to represent ATOM at the NC State Championship Meet. 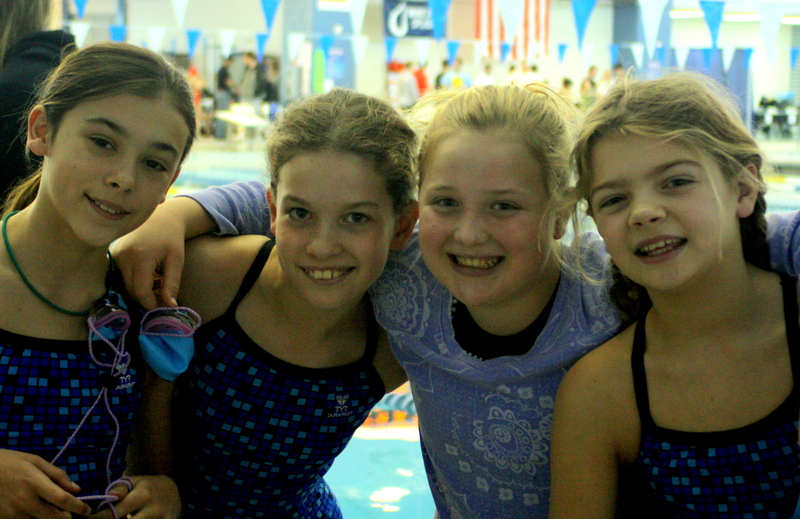 ATOM was represented well at the meet by these swimmers. The combined team scores placed ATOM 14th out of over 50 teams, making them one of the highest finishers for small teams (100 or less registered swimmers) in the state. The men’s team finished 12th and the women’s team finished 22nd. 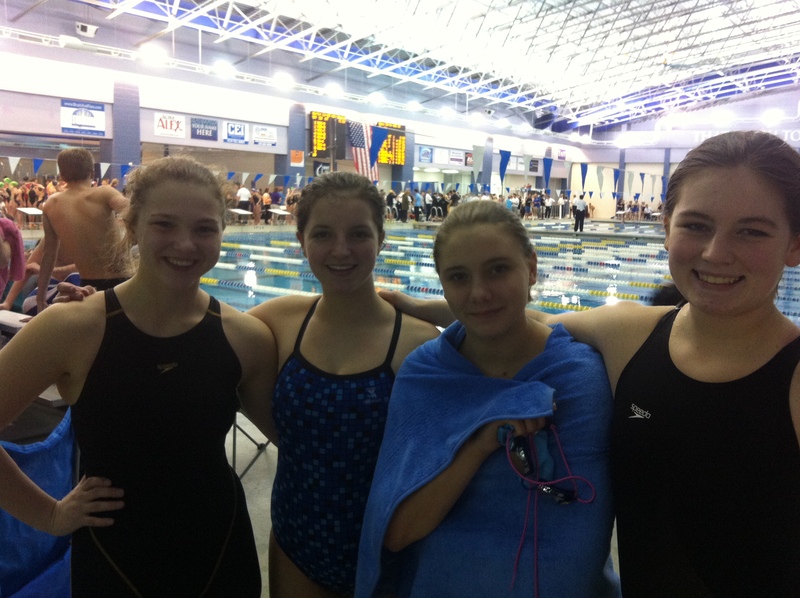 The next stop for these swimmers will be the Age Group Sectional Meet in Greensboro, NC. This meet will bring together the best 14 & under swimmers in the southeast – including Georgia, South Carolina, Tennessee, Kentucky, West Virginia, Florida, Alabama, Mississippi, & Texas. 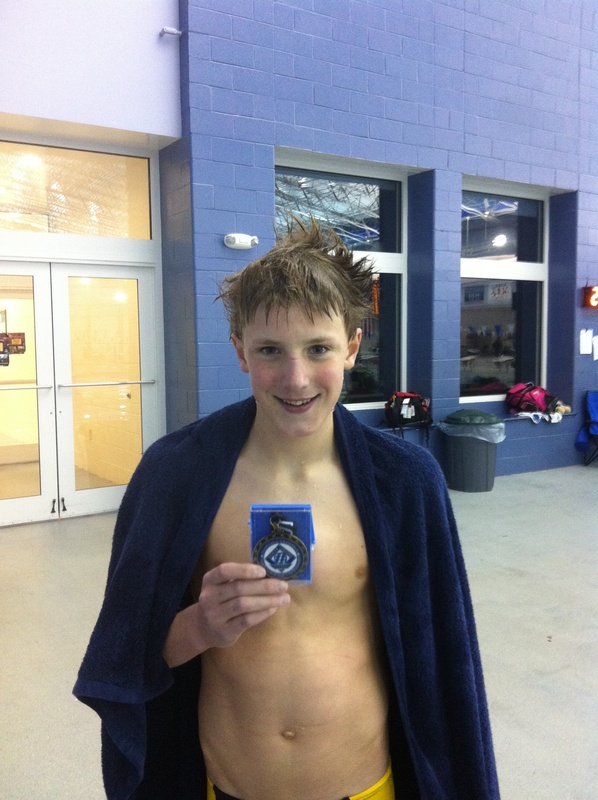 Jacob Rauch (12 years old) won the 100 IM at the North Carolina 14 & State Championship Meet at the Triangle Aquatic Center. Rauch came into the meet seeded 4 with a time of 1:03.9. He dropped three seconds in his prelim swim, clocking in at 1:00.9 to go into finals as the top seed. In finals, Rauch was able to hold off second place finisher Cooper Watson on the last leg of the race to win the title, swimming a blistering 1:00.6 and achieving a AAAA time standard. In addition to the 100 IM, Jacob Rauch also competed in the 50 (9th place), 100 (6th place), 200 (4th place) & 500 (3rd place) free, 50 (6th place) and 100 (3rd place) back and 50 (3rd place) & 100 (3rd place) breast. Rauch finished second in his age group in high point standings. Click HERE to watch Rauch’s 1oo IM race. First we would like to say “Thank You!” to all of our families for your help at the meet. We could never pull off a successful meet with out your willingness to volunteer. The swimmers were provided with a great opportunity to swim fast and the coaches & officials from other teams were especially impressed with hospitality! Words cannot express our gratefulness for all you did to put on a fantastic swim meet. The money earned from the meet will be used to help pay for various needs for our swimmers, including equipment, swimmer incentives, & scholarships. Thank you also to our meet sponsor Wendy’s on Charlottetown Ave for providing medals, Sunday’s lunch & free junior frosty coupons for our heat winners.